1. 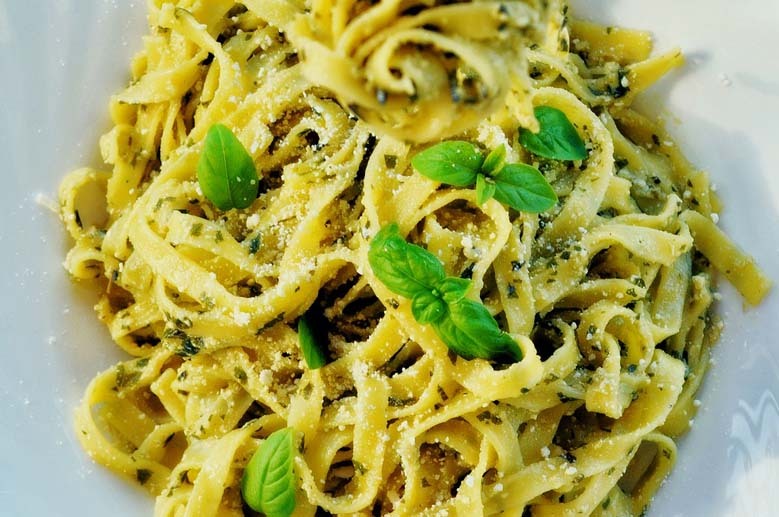 To make the pesto, blend together in a food processor: all the freshly torn basil leaves, pine nuts (leaving a tablespoon of them to one side for later), extra virgin olive oil, sprinkling of salt and good dash of ground black pepper. 2. Cook the tagliatelle as per instructions on packet if fresh. 3. Drain pasta, add the pesto and mix so that all the pasta is coated. 4. Serve with the remaining pine nuts which you set aside on top. This is so simple yet tasty. Thank you to Victoria for this recipe.